I’d been to Montpelier almost 20 years ago, when the house was more duPont than Madison. William duPont, of the Delaware chemical company family, had bought Montpelier in 1901 to use as his primary home and the last private owner of Montpelier was William’s daughter Marion, who lived there until her death in 1983. 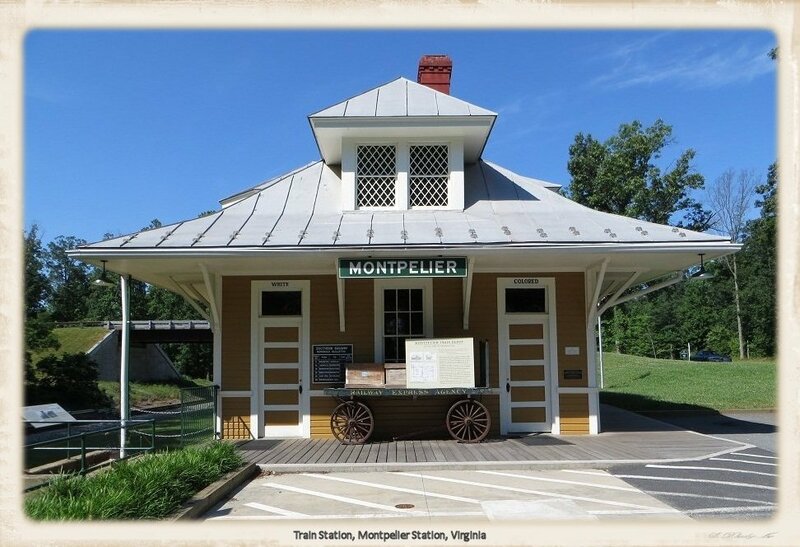 William built the Montpelier train depot to ease his commute from Delaware to Montpelier. The depot now features an exhibit on segregation on one end, and is a working U.S. post office on the other. 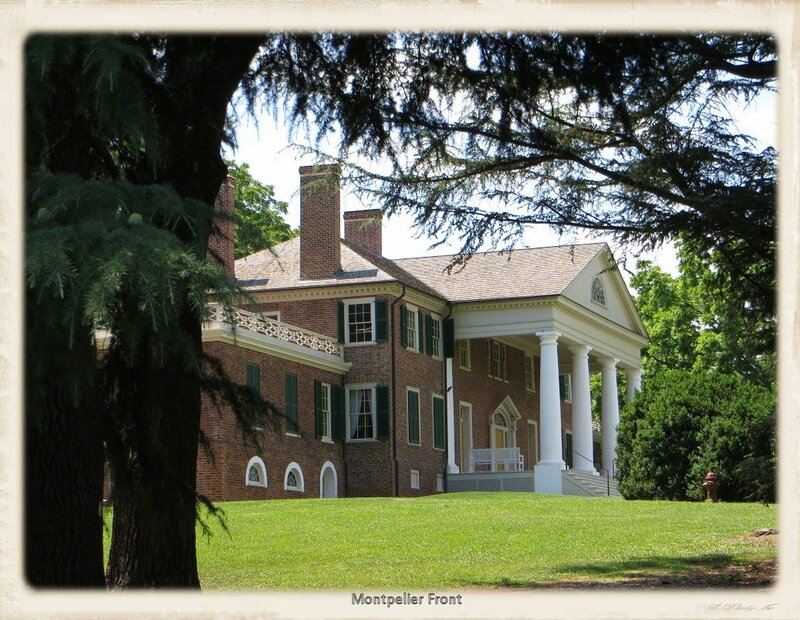 Montpelier had been James Madison’s childhood home, started by his father in the 1760s. James enlarged it after he married Dolly, a widow with a son. The Madisons died in poverty, due to the combination of a nationwide financial crisis in 1819, declining tobacco prices (Montpelier was a tobacco plantation) and the incompetence and spendtrift ways of Dolly’s ne’er-do-well son, who had been left in charge of the plantation while Madison was president. Dolly sold the house in 1842 (James died in 1836) and moved to Washington DC, where she lived on the kindness of friends until her death in 1849. Montpelier went through six owners before the duPonts. William duPont made major changes to Montpelier. He put a second story on the wings, added rooms to the back, and reworked the floor plan. He tore out the old staircase — I know…eeek! — and put in a new one. There were 22 rooms when William bought the house and within a couple of years, there were 55. I remember, from my early 1990s visit, Marion duPont’s Red Room, where she’d turned the south wing parlor into a red art deco livingroom. Curators had taken part of the modern drop-ceiling down, so that visitors could see the 18th century plaster ceiling it covered. Another eek! At least she hadn’t torn the 18th century ceiling down. All of that is gone now. After Marion’s death, the estate went through family squabbling over wills and trusts before it finally settled where Marion had wanted: with the National Trust for Historic Preservation. In 2003, the Trust began a five-year, $24 million restoration. 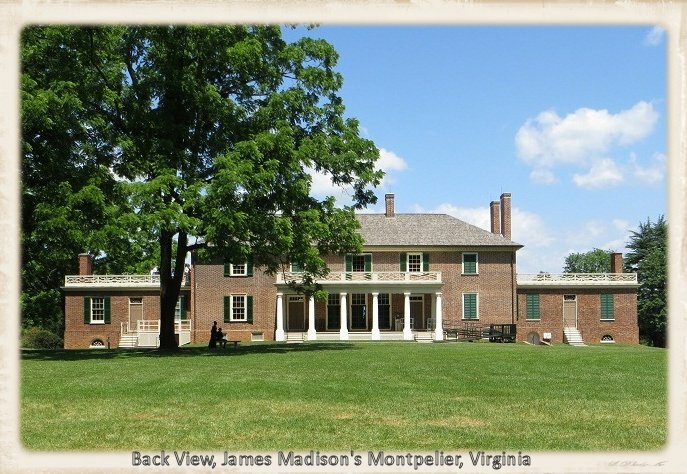 The restoration took Montpelier back to the time that the Madisons lived there in retirement, from 1817 to James’ death in 1836. We started in the huge new visitors center, where we bought our tickets, looked through two museums (one on the Madisons and one on the duPonts) and watched a film about the Madisons. The duPont museum features Marion’s art deco room, carefully reconstructed. The film and the tour narrative emphasized Madison’s role as the “Father of the U.S. Constitution and the Bill of Rights.” Madison drafted the Virginia Plan, an outline for a government with a bicameral legislature that was the foundation for the Constitution, and drafted the first ten amendments to the Constitution. After the film, we walked up to the house for a tour of the first and second floors. The objects in the house are of the period but most are not original, the originals having been sold off by the family during their periods of financial distress, or subsumed by later owners. No photography inside. 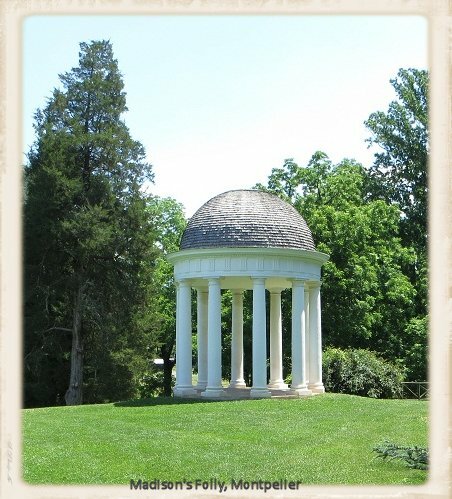 Outside, there is a formal garden and “Madison’s Folly,” a Greek-style structure that covers the ice house. Next to the Folly are the graves of Marion duPont’s three favorite horses. 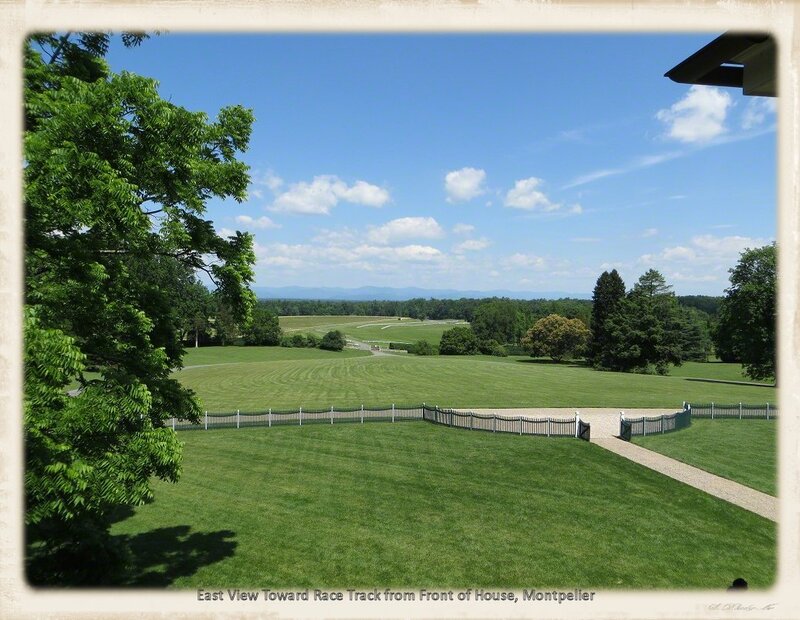 The duPonts were thoroughbred breeders and what remains of them on the estate are horse-related: the graves, the race course in front of the house where the Montpelier Hunt Races, begun by Marion duPont, continue to run, and the Throughbred Retirement Foundation (TRF) at Montpelier. 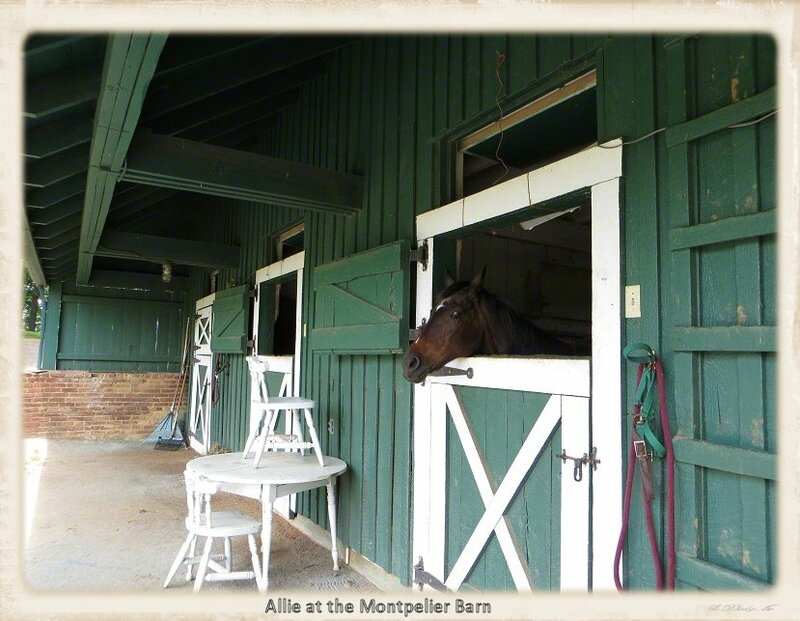 TRF is a national thoroughbred rescue and the Montpelier chapter operates out of Marion’s barns, caring for about 500 horses on 200 Montpelier acres. This is Allie, a very elderly and very social thoroughbred who was the first to greet us at the barns. Visitors are welcomed at the site’s archeological lab, housed in duPont era buildings on the edge of the east lawn. It’s cabinets are full of Montpelier finds to look at, and there was staff on-hand to answer questions. Between the lab and the stables is the start of a walking trail through 200 acres of old-growth and demonstration forest. Further afield, there are the family and slave cemeteries, and the home of George Gilmore, a Montpelier slave who, after emancipation, bought 16 acres of Montpelier land and built a farm. We didn’t do the trail, cemeteries or the Gilmore farm, and we were there for over three hours. The restoration isn’t quite complete. They’re still reconstructing dependencies outside and furnishing the inside. All they need is the help of a few more mice. 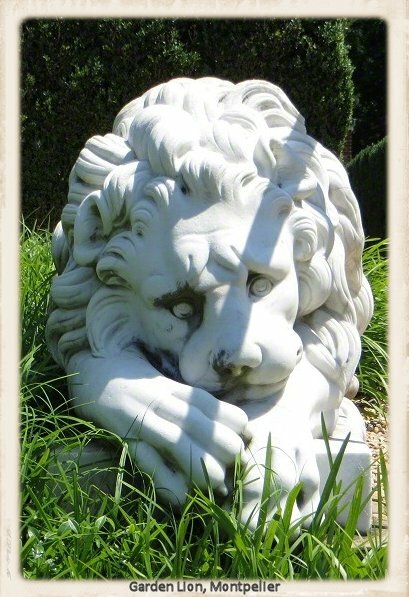 Gallery | This entry was posted in Virginia and tagged African-American, animal rescue, duPont, historic farm, historic house, history, history travel, horses, Madison, Montpelier, travel, vacation. Bookmark the permalink. Thank you for the great post! We love Montpelier for its beauty and for the man that lived there. 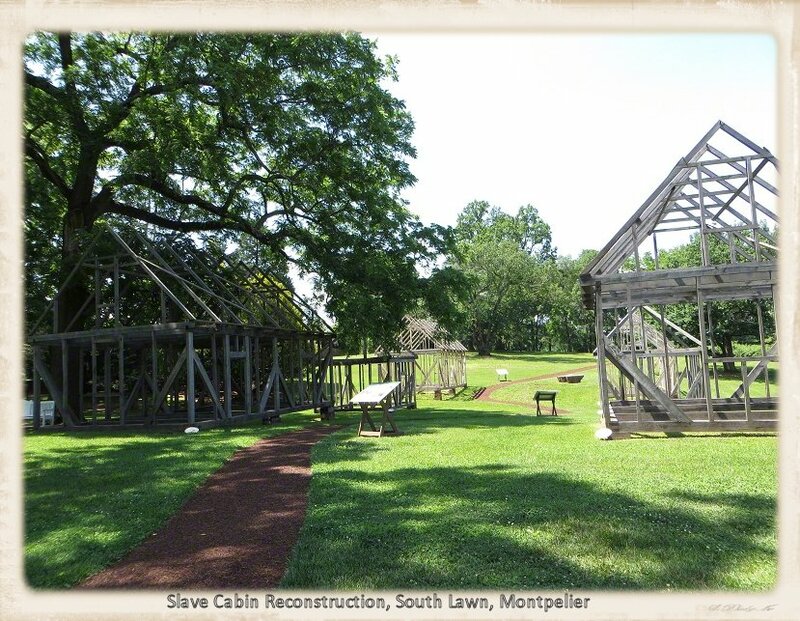 Our plantation is very closely related to Montpelier and when we visit, we feel that connection. Thank you. 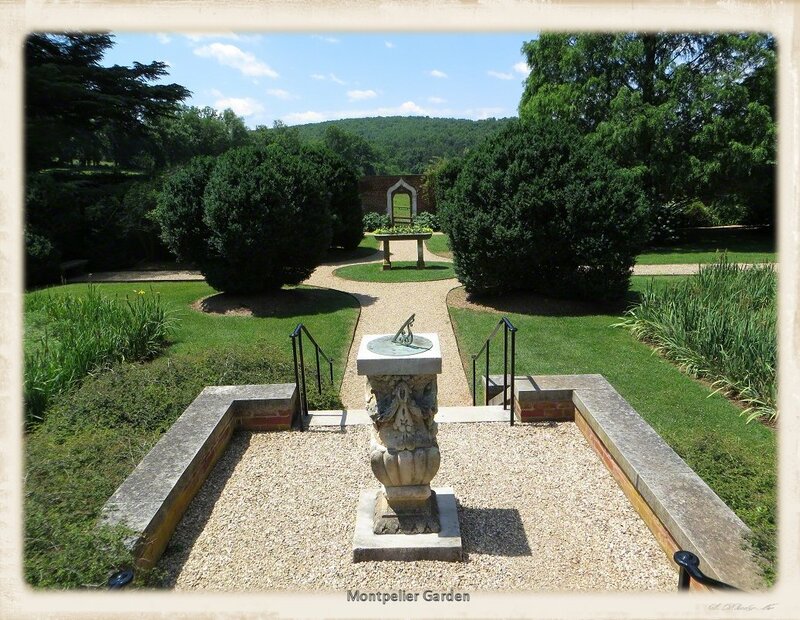 Of all the plantations I’ve seen, Montpelier is the place I’d like to live the most. As grand as it is, there’s also something very homey about the place. That lawyer needs to get a move on! I’m dying to learn the identity of your plantation! I love being able to take photos inside – such an aid to memory. Even when there is a definitive book on the property – and my bookshelves are full of those (love to be able to read a complete history after seeing the site) – having my own photos helps me retain the feeling of being in the particular space. I agree. Its infinitely annoying not to be able to take pictures inside.